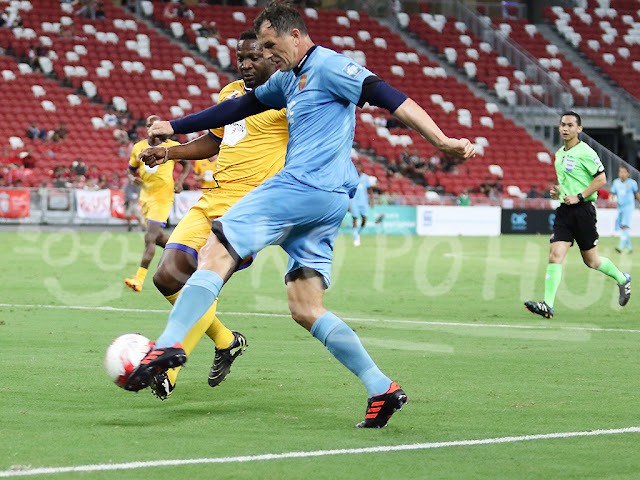 Yusof B Ibrahim was at the National Stadium on last Saturday to witness the "Battle of Masters" Tournament featuring the likes of former Arsenal players alongside with their Liverpool and Singapore counterparts. 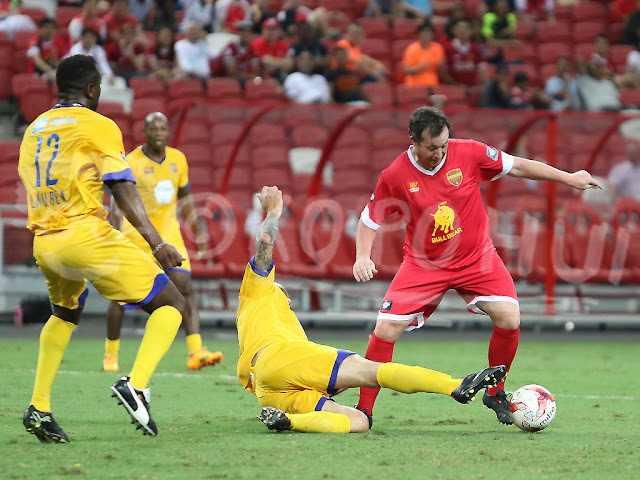 Football fans at the National Stadium were in treat over the last weekend when they were given a chance to witness a number of former English Premier League stars in action alongside with Singapore footballing legends in the “Battle of Masters” tournament organized by Masters Football. Both Arsenal and Singapore Masters raised the curtain for the night by dishing out some entertaining football with the Gunners had two of their attempts denied by the woodwork in the first half. Shortly after the breather,1998 World Cup winner Robert Pirès reminded all of his trickery during his “The Invincibles” heydays when he opened the account in the 23rd minute of play (each half of the match lasted for 20 minutes). Latched onto a pass threaded in by Luis Boa Morte, the 79-capped former “Les Bleus” winger made no mistake when he slotted the ball past Singapore's custodian Rezal Hassan to take the lead. However, the joy proved to be a short-lived one when local legend Aleksandar Duric, playing his first game at the new National Stadium, cancelled out that effort by putting his name on the scoresheet against his favourite team in the 35th minute to share the spoils with the Londoners. 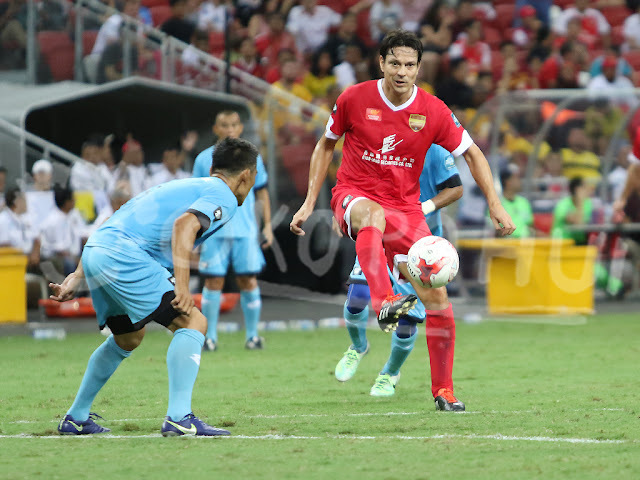 Despite conceded a goal in the curtain-raiser, Rezal was quick to regain his composure in Singapore's second match of the evening when they were up against a pacy Liverpool Masters side led by Finnish Jari Litmanen in attack. The energetic 46-year-old, nicknamed “Kuningas” (The King) back in his native Finland, tormented the Lions veterans backline like how he did in the past with his good footwork and sublime passes. It was, however, a different tale when the match resumed with the floodgates opened right from the restart. Steve McManaman's easy tap in started the ball rolling in 21st minute and aided by the hard works on the flanks by both Fabio Aurelio and Luis Garcia who simply outpaced a tired Singapore side that saw the Merseysiders ranked in four goals in a space of 18 minutes which included a spot kick from 'keeper David James – his first ever goal in Liverpool colours. 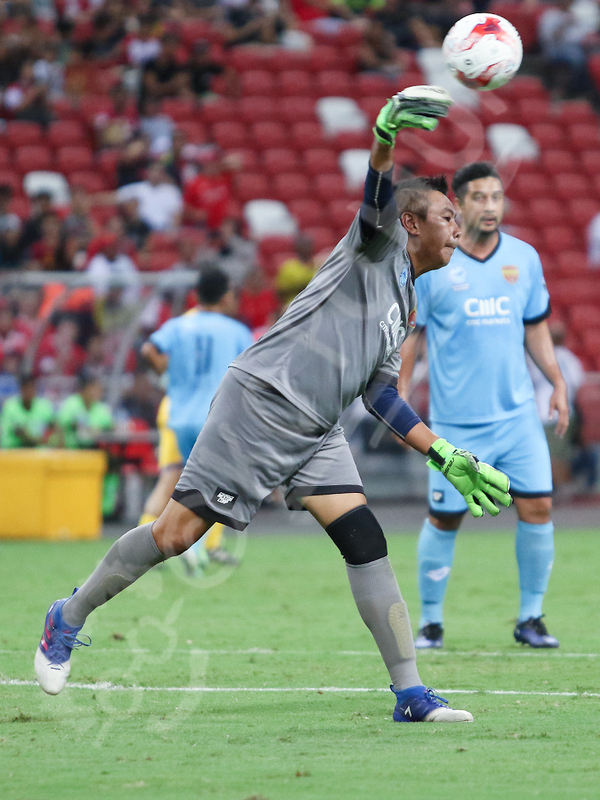 That huge margin victory by the Reds set the tone perfectly when they took on a well-rested Arsenal side in a replay of the Caltex Cup match played in the old National Stadium back in 1991. The Highbury legends drew the first blood in the fifth minute with Pirès scoring his second goal of the tournament by finished off a move orchestrated by Omer Riza who deceived both James and Steve Harkness before fed the ball to the Frenchman to tuck into the the far corner. It was thought that Anfield veterans would wrapped the night with another win following efforts by Emile Heskey who volleyed in the eighth minute to level the scores and a David Thompson screamer in 12th minute. 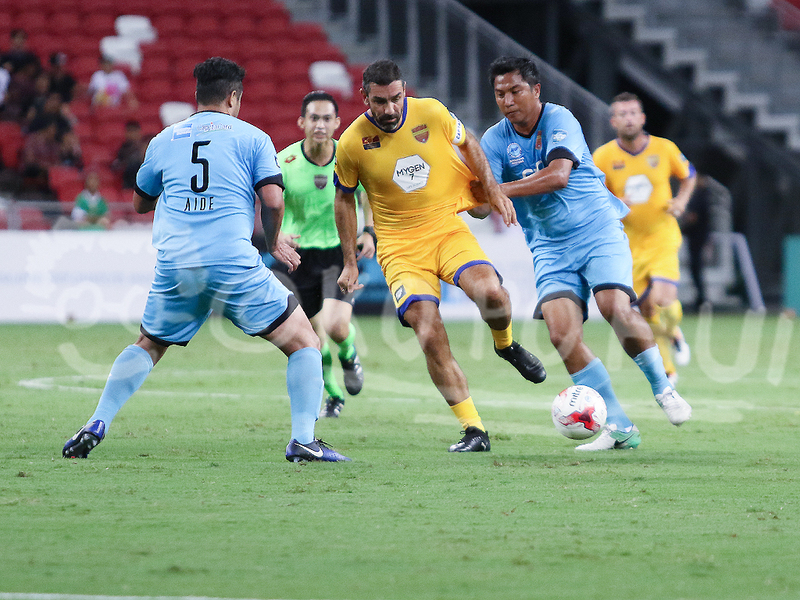 Unfortunately, the perfect setting was spoiled by crowd favourite Pirès who scored his third goal of the night to ensure the Arsenal Masters did not end the night on a losing note. Nonetheless, Liverpool Masters still walked away as the winners of the “Battle of Masters” Tournament on a better overall record. Views expressed may not be that of the blog owner.